On the basis of our analysis of the deal, we conclude that it should be rejected. It is a better outcome than ‘no deal’. But, it is significantly worse than the status quo. There are significant reasons why not only Brexiters but also remainers should be concerned. During the transition period, between March 2019 to December 2020 (perhaps extendable to December 2021 to 2022), the UK will continue to be bound by EU law rules, but will lose the right to participate in EU decision-making institutions. It will move from being a rule-maker, to being a rule-taker. Significant uncertainty surrounds the relationship between the UK and the EU post-transition. As part of the ‘Irish backstop’, both sides commit to ensuring that there is no hard border in Ireland. The UK and the EU form part of a ‘single customs territory’, and there are (differential) level playing field provisions for Northern Ireland and Great Britain. Under the ‘backstop’ provisions, the UK will not be part of the EU single market. The free movement of people will end. The access of goods to the single market will be subject to new, complex, institutional arrangements. The rules relating to agriculture, fisheries, trade in services and many more, will be worked out in the course of future relationship negotiations which will take place after Brexit. The Political Declaration on the Future Relationship offers no legal guarantees as to what these rules will be. We will spend the next years debating the nature of the UK’s future relationship with the EU. The deal is clearly inferior to the status quo; both in terms of its economic effects, and in terms of the ‘control’ the UK is able to exercise. 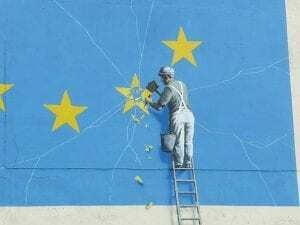 The Withdrawal Agreement and Political Declaration envisage that the UK’s withdrawal from the EU will occur in two distinct phases. First, during the transition period, EU law will essentially continue to apply in the UK. Second, from the end of that transition period, the relationship between the EU and the UK will be reworked. Much of that reworking will only occur after Brexit, when the EU and the UK will be able to begin to negotiate their future relationship. Our understanding is that the future relationship deal will be subject to the rules and procedures in the Withdrawal Agreement (except in specific areas, for example the so-called Irish ‘backstop’, in which the Agreement provides that it may be superseded by the future relationship deal). The Withdrawal Agreement is clear in relation to its ‘entry into force and application’ (see Article 185); with some provisions applying from 30 March 2019, and others applying from the end of the transition period. It is however rather less clear in relation to the extent to which it will continue to bind the parties once the future relationship has been agreed. Our understanding is that the provisions in the Withdrawal Agreement are intended to bind the parties; so that it would be in breach of the agreement for either the UK or the EU to resile, for example, from their obligations (set out in Part Two) in relation to citizens’ rights. But it is expressly recognised that the Irish Protocol may, and indeed is formally expected to, be superseded; but only by ‘alternative arrangements for ensuring the absence of a hard border on the island of Ireland on a permanent footing’. We note that the Political Declaration (in its Article 124) provides that the governance and dispute settlement provisions of the Future Relationship are to be ‘based on the arrangements to be provided for in the Withdrawal Agreement’. During the transition period (described in Articles 126-132), ‘which shall start on the date of entry into force of this Agreement and end on 31 December 2020’ (Article 126), ‘Union law shall be applicable to and in the United Kingdom’, subject to minor exceptions (Article 127). Article 128 goes on to provide that, again subject to minor exceptions, including by virtue of Article 130 in relation to fishing opportunities, during the transition period ‘Article 7 shall apply’. Article 7 provides, in stark terms, that the UK is not to be involved in the nomination, appointment or election of members of the EU institutions; nor is it to participate in the decision-making and governance of the bodies, offices and agencies of the Union. There are one or two old Etonians who are fond of referring to this state of affairs as ‘vassalage’. Article 132 goes on to say that ‘the Joint Committee may, before 1 July 2020, adopt a single decision extending the transition period up to [31 December 20XX]’. Thus, the UK and the EU may jointly decide on a single, time-limited, extension to the transition. The end date for transition extension will fall to be agreed in the weeks ahead; and is rumoured to be the end of either 2021 or 2022. Additionally, Article 129 imposes specific arrangements relating to the Union’s external action. It raises a number of problems relating to trade, and is also likely to have far-reaching implications in other areas in which the EU’s external action is relevant. First, this provision provides that the ‘UK shall be bound by the obligations stemming from the international agreements concluded by the Union’ (Article 129.1) throughout the transition period. Yet, each existing EU Free Trade Agreement (“FTA”) contains a clause that stipulates who the parties to the agreement will be. In every case, the FTA states that the parties include ‘the EU and its Member States for the one part’ and the other trading partner(s). When the transition period begins, the UK is no longer an EU Member State, nor is it part of the EU. How then, can the UK be bound by obligations of an international agreement to which it is almost certainly not a party? Unless the other trading partners agree to the UK remaining part of the agreement in the transitional phase, Article 129(1) presents a rather serious problem for the continuation or ‘grandfathering’ of existing EU-FTAs in the transition period. Second, the UK cannot participate in any committees or groups established under existing FTAs unless the UK is ‘participating in its own right’ or ‘invited’ to participate by the EU (see paragraphs 2.a and 2.b). Furthermore, the very notion that the EU will invite the UK to participate in meetings is stated to be ‘exceptional’ (Article 129.2.b.). Notwithstanding the first problem, and even if we are to accept that the UK is ‘bound’ by the provisions of existing EU-FTAs, this provision rests on two assumptions: a) that the UK can participate in its own right (when there is no certainty that the UK will remain a member of the FTA); and b) that the likelihood of the Union inviting the UK to participate in any matters relating to the FTA will be ‘exceptional’. Article 129.2 determines that the UK will lose its political capacity under these agreements rendering it a silent partner, or at best a passive participant, in future negotiations or disputes arising under existing agreements. The third problem relates to the UK’s capacity to negotiate other agreements or in any other fora with non-EU countries. Article 129.3 requires that, in ‘accordance with the principle of sincere cooperation the United Kingdom shall refrain, during the transition period, from any action or initiative which is likely to be prejudicial to the Union’s interests, in particular in the framework of any international organisation, agency, conference or forum of which the United Kingdom is a party in its own right’. What might this mean for negotiations in the WTO, for example, where the UK is already a Member in its own right? What if the UK seeks to initiate or join a dispute against some aspect of EU trade law or regulation? What is the threshold for acting in a way that is prejudicial to EU interests and, if this provision is breached, what action can be taken? The Agreement provides that UK can conclude negotiations for trade agreements with other countries (provided this is not ‘prejudicial to EU interests’) provided that they do not apply until the transition period ends (Article 129.4). As noted in the International Trade Committee’s Report on the Continuing Application of EU Free Trade Agreements after Brexit, the UK must be mindful that many EU-FTAs contain a Most-Favoured Nation (MFN) clause which could affect the UK’s ability to secure better terms of trade in its new agreements without the same preferences being extended to the EU. Most provisions of the Withdrawal Agreement only apply after transition. As stated, they will intersect with the provisions of the Future Relationship agreement, which will be negotiated only after Brexit, in a range of ways. Some of the terms of the future relationship will be subject to the Withdrawal Agreement’s provisions; while others will have the capacity to supersede the provisions of the Withdrawal Agreement (sometimes only if certain conditions are met). Part Two contains the provisions on citizens’ rights, which are largely as agreed some months ago. They provide some guarantees to EU citizens resident in the UK and UK citizens resident in the EU before the end of the transition period, but nevertheless represent a significant change in the status of those groups of citizens. We do not consider them in this piece; they are discussed by Rebecca Zahn here. Article 4 states that those provisions of Union law made applicable by this Agreement ‘shall produce in respect of and in the UK the same legal effects as those which they produce within the Union and its Member States’. They are to be directly effective in the UK. Provisions of Union law are to be interpreted and applied ‘in accordance with the methods and general principles of Union law (Article 4(3)), ‘in conformity with the relevant case law of the CJEU handed down before the end of the transition period’ (Article 4(4)), and ‘with due regard to’ the relevant case law which post-dates transition (Article 4(5)). There will need to be changes to section 6 of the EU (Withdrawal) Act 2018 in order to accommodate the expanded scope of CJEU jurisdiction. As Tobias Lock has explained, it is not surprising the Agreement provides for the involvement of the CJEU (not only via Article 4, but also in Articles 6, 86 and 87, 131 (in relation to transition), 158 to 163, 174, and Article 14 of the Irish Protocol) – as indeed, according to the case law of the CJEU, it must (to the extent that the Agreement refers to provisions of Union law). Part Six of the Withdrawal Agreement (Articles 158 to 185) contains the institutional provisions. Here, it is noteworthy that the ‘Joint Committee’ is given responsibility for the implementation and application of the Agreement (Article 164), as discussed here by Sylvia de Mars. There are also references to an independent UK authority ‘which shall have powers equivalent to those of the European Commission… to conduct inquiries on its own initiative concerning alleged breaches… by the administrative authorities of the UK’ (Article 159), to a number of specialised committees (on for example citizens’ rights, the Irish Protocol and financial provisions), and to new arbitration panels and procedures (Articles 167-181). As stated above, the aspiration of both parties is that the UK’s relationship with the EU will move smoothly from transition to the future relationship. The opinion of most commentators is that this is simply not possible; the future relationship will take a number of years to be negotiated, and, in the interim period, between the end of transition and the beginning of the application of the Future Relationship agreement, the rules in the Withdrawal Agreement will apply. Given the inherent uncertainty surrounding the future relationship, there is a Protocol on Ireland/Northern Ireland, setting out ‘the arrangements necessary to address the unique circumstances on the island of Ireland, maintain the necessary conditions for continued North-South cooperation, avoid a hard border and protect the 1998 [Good Friday] agreement in all its dimensions’ (Protocol, Article 1(3)). This is of course the ‘Irish backstop’. Throughout the negotiations, both the UK and the EU have remained resolute that Brexit would not result in the creation of a ‘hard border’ in Ireland, and that trade at the Irish border would be ‘frictionless’. While the provisions of the Protocol are ‘intended to apply only temporarily’, it is envisaged that they will apply until a permanent solution is found. If a ‘frictionless’ future relationship solution does not emerge before the end of the transition period, the ‘backstop’ applies to ensure that trade remains as frictionless as possible. While both sides have agreed that a backstop solution is needed, their positions on the matter have been poles apart. The EU side insisted that the backstop solution could only be superseded by mutual agreement. The UK, by contrast, was seeking unilateral ‘finality’. As regards the geographical scope of the backstop, Michel Barnier, the EU’s chief negotiator, originally proposed that the backstop would mean that Northern Ireland would remain part of the EU’s custom union, large parts of the single market, and the EU’s VAT system. From the UK perspective, this ‘solution’ was constitutionally untenable. Theresa May, in her briefing of 21 September 2018, stated that “creating any kind of border between Northern Ireland and the rest of the UK would not respect that Northern Ireland is an integral part of the United Kingdom, in line with the principle of consent, as set out clearly in the Belfast/Good Friday Agreement”. The Withdrawal Agreement reveals that the EU won the battle as regards the termination of the backstop. The backstop provisions are, as widely trailed, to apply ‘unless and until’ they are superseded, in whole or in part, by a subsequent agreement between the sides (Protocol, Article 1(4)). As expressed in Article 2 of the Protocol, ‘the Union and the UK shall use their best endeavours to conclude, by 31 December 2020, an agreement which supersedes this Protocol in whole or in part’. That, in our view, was an inevitable outcome. If there is to be a commitment to avoiding a hard border in Ireland, it has to form part of the legally binding Withdrawal Agreement, and cannot be unilaterally ended. As regards the scope of the backstop, the solution adopted is that the UK as a whole and the EU will form part of a ‘single customs territory’. That appears to be a ‘win’ for the UK. However, closer inspection reveals that the ‘single customs territory’ innovation, which will form the basis of the UK’s trade relationship with the EU until it is superseded, leaves the UK in a new, and somewhat uncomfortable, relationship with the EU. It falls far short of single market membership. It includes a number of level playing field conditions, some applying to the UK as a whole, others specifically to Northern Ireland. Article 6 of the Protocol emphasises that the customs territory applies (only) in relation to trade in goods within the single customs territory. The freedom to provide services, and the free movement of people (except in relation to the Common Travel Area between the UK and Ireland; see Protocol, Article 5), are outside the scope of the agreement. So too are fisheries, ‘unless an agreement on access to waters and fishing opportunities is applicable between the Union and the UK’. If a deal cannot be struck, then the waters are exclusively the UK’s and will no longer be governed by EU rules but by the UN Convention on the Law of the Sea. This could have significant implications for the EU, which currently imports approximately 75 per cent of UK catch. Avoiding another scallop war is, however, likely to be in the minds of both the UK and EU negotiators. Article 7 explains the way in which the UK internal market is to be protected. The Joint Committee is given the task of adopting the detailed rules relating to trade in goods. A number of ‘level playing field’ commitments, described in Annex 4 of the Protocol, operate so as to limit the UK’s ability to diverge from EU standards, including non-regression clauses in relation to environmental protection standards, labour and social standards, state aid and competition rules. The UK’s National Farmers’ Union (NFU) has historically voiced its concern about what it considers to be excessive EU rules on crop protection and the use of biotechnology and it has been an active voice in proposing post-Brexit environmental regulation in the farming industry. That is not to say that the UK will want to deviate from all the high standards promoted by the EU in relation to technical barriers to trade (TBT) and sanitary and phytosanitary (SPS) measures but what we can see – and what is troubling for both Brexiters and remainers – is that the UK’s freedom to regulate in these areas will be considerably curtailed under the single customs territory rules. A number of further provisions are said to apply to the UK only ‘in respect of Northern Ireland’ (Protocol, Articles 6(2), and 9-14, and Annexes 5, 6 and 7). Thus, Northern Ireland essentially remains subject to a wider range of level playing field commitments than the rest of the UK. For example, Article 9 of the Protocol provides that EU VAT and excise rules will continue to apply to Northern Ireland and the EU Commission has confirmed that the Union’s Customs Code, which sets out the terms for free circulation of goods on the EU market, will continue to apply to Northern Ireland. The UK and the EU will be in a single customs territory, relating only to trade in goods. Services and people are not covered. As indicated above, the intention of the parties is that the backstop will be superseded, or even perhaps pre-empted, by the future relationship agreement. That deal will be a Treaty concluded between the EU and UK once the UK has left the EU. The aspirations of the two sides in relation to the future relationship framework, are set out in the political declaration, which has been further fleshed out today. Negotiating a trade agreement alongside a political declaration is an increasingly common approach for the EU, as evidenced in its recent negotiations with Singapore and Viet Nam, for example. It is important to remember that this political declaration is non-binding in legal terms, and that it can provide no guarantees as to the nature of the EU’s eventual relationship with the UK. The political declaration will merely be the starting point when future relationship talks get underway in 2019 (though it may also serve as a reference point for interpretation of the future relationship agreement, should a dispute arise). Various EU-FTA models have been put forward as blueprints, from the EU’s association agreement with Ukraine, to the so-called Norway model. The Political Declaration adopts a different course. It establishes ‘the parameters of an ambitious, deep and flexible partnership’ between the the EU and UK and provides that the relationship ‘will be rooted in the values and interests that the Union and the United Kingdom share’ and will be ‘based on the balance of rights and obligations’ of each side (Articles 3-4). Furthermore, the future relationship is evolutive and may change over time (Article 5). In the specific context of trade, the parties ‘envisage having a trading relationship on goods that is as close as possible, with the view to facilitating legitimate trade’ (Article 20). A relationship that is ‘as close as possible’ falls short of ‘frictionless’ trade. Furthermore, the parties look set to conclude ‘ambitious customs arrangements…that build and improve on the single customs territory’ (Article 26). The danger here is that the temporary customs arrangements agreed by the EU and UK will turn into a more permanent customs union which, as noted in Dominic Raab’s resignation letter, could further limit the UK’s ability to develop its own independent trade policy. In short, the UK-EU future relationship as it is sketched in the Political Declaration, may mirror, but go beyond, the Comprehensive Economic and Trade Agreement (CETA) concluded by Canada and the EU. In respect of free movement of people, the Political Declaration includes the commitment to ‘establish mobility arrangements’ for UK and EU citizens (Article 50). It has been widely celebrated that visas will not be required for UK citizens travelling to the EU and EU citizens travelling to the UK, however, Article 52 of the Political Declaration states merely that the parties will agree to provide ‘visa-free travel for short-term visits’. This provision implies that mobility for longer term visits is likely to be subject to different rules and that citizens may need visas. The dispute settlement provisions (Articles 132-135) outlined in the Political Declaration are, for the most part, typical of institutional arrangements under existing EU-FTAs. Where a dispute arises, the parties should ‘make every attempt to resolve any matter…through discussion and consultation’ but either party can refer the matter to the Joint Committee (Article 132). An independent arbitration panel can examine a dispute, at the request of the Joint Committee – or where either Party is not satisfied that the Joint Committee has come to ‘a mutually satisfactory resolution’ – and the decision of the panel will be binding on the parties (Article 133). If the matter raises a point of interpretation of EU law, the CJEU shall act as the ‘sole arbiter’ and its ruling will be binding. The arbitration panel must then ‘decide the dispute in accordance with the ruling given by the CJEU’ (Article 134). This institutional arrangement will be unpalatable for Brexiters, as the CJEU will still retain judicial powers over certain aspects of the future EU-UK relationship. In other words, the UK will not be free from the jurisdictional reach of the European Court on leaving the EU. More fundamentally, whether or not one welcomes or rejects the way in which the declaration frames the future relationship is of little consequence. Various Articles have already raised the temperatures of both the European Research Group and the Labour Party. The reality is that the provisions are non-binding and aspirational. The early skirmishes only serve to illustrate how difficult it will be first, to establish what sort of future relationship the UK wants, and second, to agree that with the EU. It all feels grimly familiar. It is post-Brexit negotiations which will tell us what sort of future relationship the EU and the UK will enjoy. Beyond the commitments made in the Withdrawal Agreement (in particular the commitment to no hard border in Ireland), the Political Declaration is aspirational and non-binding. The ‘backstop’ provisions will apply until the future relationship is agreed. Most commentators do not think it is possible to agree the terms of the future relationship deal until well after the end of the transition period (even if it is extended). Those of us who have been following the Brexit process closely over the last two and a half years are finally able to assess the combined efforts of the UK and EU negotiating teams. It has been clear from the outset that the EU was prepared to offer the UK the Brexit terms of its choice; so long as the UK was able to find a balance between on the one hand the rights, and on the other the obligations, associated with membership of, or proximity to, the Union market. Predictably, there are many Brexiters who seem to be unable stomach the Withdrawal Agreement. The Chequers plan cost Theresa May one Secretary of State for exiting the EU, David Davis, and Foreign Secretary Boris Johnson; this Agreement has cost her Davis’ successor, Dominic Raab, and Work and Pensions Secretary Esther McVey. The Brexiters have been quick to cry ‘betrayal’, to claim that the agreement fails to deliver ‘the will of the people’, and to denounce the Prime Minister for coming to this agreement with the EU, which keeps the UK (at least to an extent) within the EU’s regulatory orbit, and fails to ‘end the jurisdiction’ of the European Court of Justice. The agreement has been painted by some as a ‘soft’ Brexit, and has been welcomed by some ‘remainers’ in Parliament. It has been praised for ending uncertainty, and for creating a single customs territory. It has been endorsed by the CBI. We, however, do not share this optimism. The Withdrawal Agreement is a better outcome than the chaos of no deal. It avoids a cliff edge in March 2019. But that, surely, is too low a bar. The UK should not accept this as the ‘least worst’ alternative to the cliff edge. As a result of the Withdrawal Agreement the UK will, after transition, be outside the single market. The free movement of people will end. Trade will become more complex, with huge uncertainty relating to (among others) services, agriculture and fisheries. And, the UK will, both during transition and thereafter be bound by rules which it will no longer have a say in making. This Agreement represents a surrender of control on the part of the UK, years of uncertainty for both people and business, and years of continuing debate about what the nature of the relationship between the UK and EU. 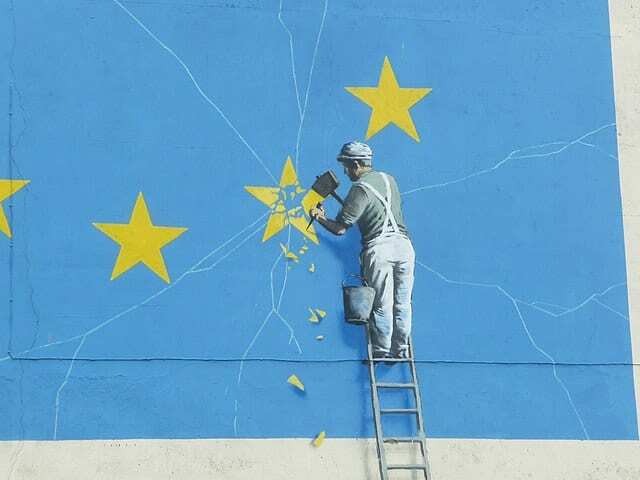 See C. Gormley-Heenan & A. Aughey, ‘Northern Ireland and Brexit: Three effects on ‘the border in the mind’ (2017) British Journal of Political and International Relations Special Issue Article, 19(3) 498. Thanks for this detailed analysis, which is very much in agreement with other analyses I have seen. The summary is particularly damning. The tragedy for me is that this was all to predictable – not the actual landing spot but the zone where rights and obligations come into equilibrium. This is an awful deal for the UK, with the exception of NI which will be protected. It will however politically be near impossible to get through the HoC but we need to ensure a Peoples Vote rather than crashing out with no deal. Suppose HoP rejects deal – TM resigns – HoP passes amendment to join EFTA. Would the WA need to be changed and if so how much? Nick Boles MP architect of “Plan B” suggests WA wouldn’t need any (or many) changes – is he right? Thanks Clair and Phil for this sober analysis. But I’m not sure your conclusions carry too much weight. They can be summarized as: this will be worse than EU membership, and the future partnership has not been agreed yet. Well, it has of course been a cornerstone of the EU’s approach that it has to be worse than membership. And the future partnership could not be agreed until after exit. A more meaningful overall assessment means examining the trade-offs that this government faced at this particular time given the specific context. I am not sure you really tried to do that with your conclusion.